I recently started to play with agar, a derivative of seaweed used in many vegetarian applications, to filter small amounts of stocks. This system is very similar to the ice filtration technique but you do not need to freeze the stock and you can filter a few cups of stock in the matter of an hour. 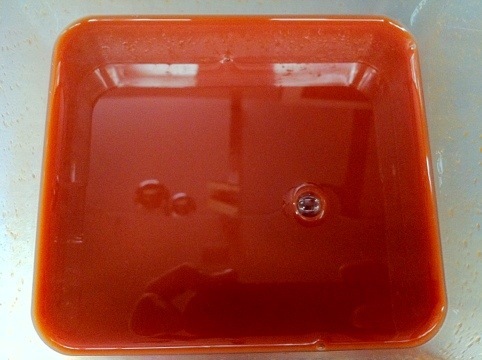 Agar needs to be hydrated in a boiling liquid that will then be filtered, chilled, then filtered again to capture the proteins and sediment that causes cloudiness in liquids. The one downside is that you will lose vibrant colors in liquids as seen in the recipe below. There might be a way to keep the color more vibrant but I have yet to figure it out. Agar can be found at health food stores and can be pricey even if bought in bulk; you do not need much more than a few ounces to get you by, unless it’s an ingredient that you use regularly. The process is fairly simple, you will need .2%-.25% agar to liquid, an ice bath, and a shallow pan to fit in the ice bath. The recipe below is the same one that I use when making fennel frond caviar minus the agar part. 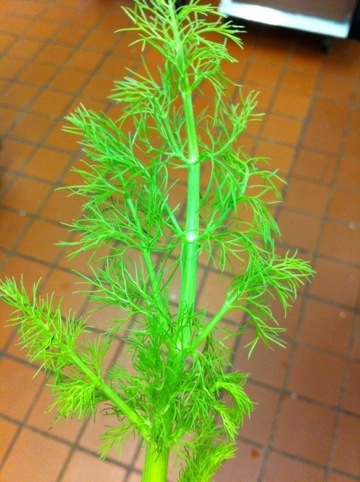 Clean the fennel fronds off of the main stalk and combine them with the parsley leaves and small stems. Prepare an ice bath large enough to hold the fennel and parsley. Bring a pot of water, large enough to hold the fennel and parsley, to a boil; add the baking soda. The baking soda will help the vegetables retain their vibrant green color, the downside is that it will make your vegetables limp, which doesn’t affect anything here. 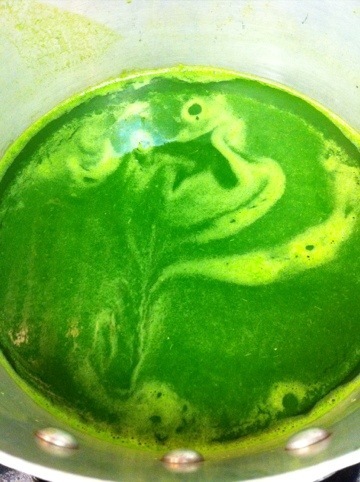 Blanch the fennel and parsley for 45 seconds and shock them in the ice bath. 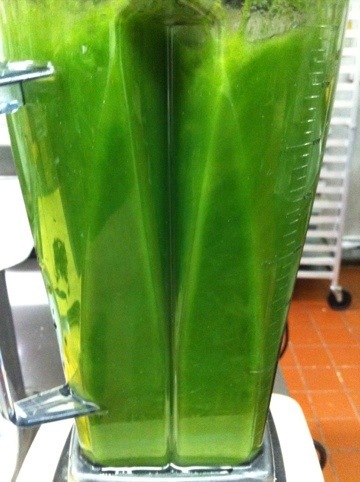 Once cooled, place the fennel and parsley into a high-speed blender with water and fennel pollen. Puree until smooth, pour into a medium holed china cap and chill. From here you can make the fennel frond caviar or continue down for the clarification. For clarifying: pour the fennel juice into a pot and begin to heat. Weigh out the agar, it is about 2t if you do not have a scale. 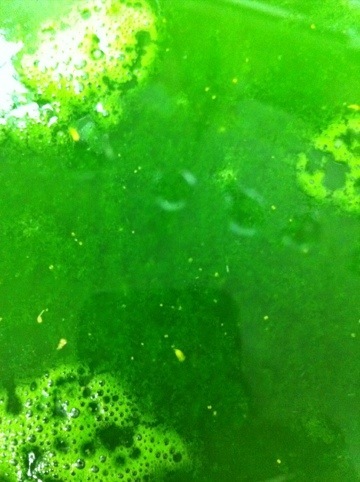 Prepare a second ice bath with a bowl in it to hold the fennel juice once heated. Sprinkle the agar on top of the fennel juice and bring to a boil, pour the juice into the chilled bowl and let sit until set up, about 20 minutes. Here you can see the juice starting to gel (the cloudiness). Line a strainer with cheesecloth place it over a container to catch the clarified juice. Pour the juice onto the cheesecloth and let stand for about 1 hour. 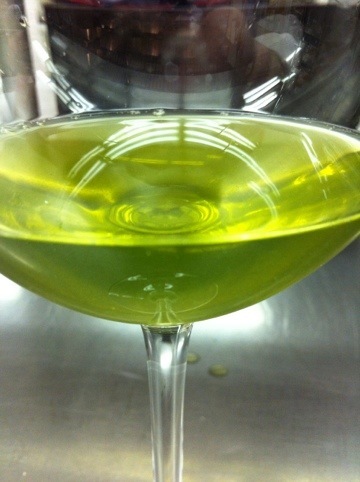 And now you have a clarified fennel juice! 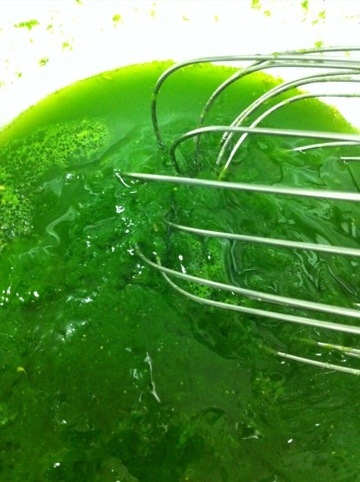 The purpose of the fennel pollen was to add more flavor to the liquid, next time I will add raw fennel into the mix. I clarified some blood orange concentrate, that I re-constituted, to see if it lost its color or not and here are the results. Before agar filtration, cloudy and dull in color. 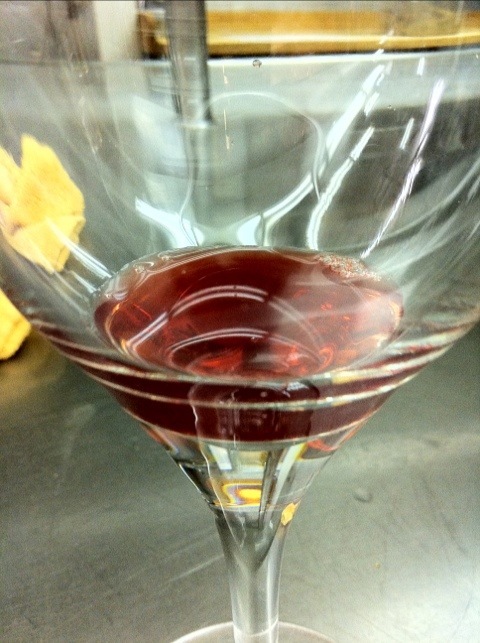 Filtered blood orange juice. It came out cleaner and still tastes great! ← Black Garlic on Instructables.com!